Mark your calendars, Festival supporters. May 1 will be the day to begin registering for the 2019 edition of the Denman Island Readers and Writers Festival, to be held July 18 -21. With twelve talented authors coming to our island, this year’s festival promises to be every bit as stimulating as in the past for regular festival-goers, and a new treat for first time attendees. For serious writers, the intensive five-day Writing Week program, under the skillful leadership of novelist, short story and children’s author, and creative writing teacher, Caroline Adderson, will fill up fast. Only eight spots are available at the request of last year’s participants so each person will have even more feedback and help with their writing. Previous participants in Caroline’s program gave her rave reviews, so don’t delay if this opportunity beckons. There will be another opportunity for festival-goers to hone their writing skills … the Blue Pencil Cafe, to be led by Jeanette Taylor of Quadra Island. Jeanette has written several local history books, runs writing workshops in Campbell River, and was a writing coach on Denman a year ago for several island writers. She will provide one-on-one coaching and editing help to people who submit up to four pages of writing in advance of the festival. She will meet each aspiring writer during the festival in a 30-minute session to give them feedback on their manuscripts. Our other ten authors come from as far afield as Montreal, and as close as Courtenay. They will each have a solo session to share their latest writing, and will also take part in panel discussions (Main Stage events) on topics that will be sure to intrigue both the authors and audiences. 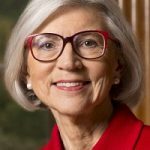 Is there anyone in Canada who does not know the name of Beverley McLachlin? Seventeen years as Chief Justice of Canada’s Supreme Court, a native of Alberta, and new debut novelist. McLachlin has written a legal thriller, Full Disclosure and we are looking forward to meeting her. When Des Kennedy interviews her in his trademark In Conversation session to close out the festival on Sunday July 21, this will be a chance for us to learn about former Justice McLachlin’s amazing career. Three outstanding fiction writers – David Chariandy, Heather O’Neill and Kathy Page – will share their fictional characters and stories. 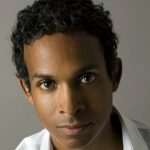 Chariandy won the 2017 Rogers Trust Award for Fiction for his novel Brother, one of the books in competition for CBC’s Canada Reads contest this spring, while Page, who hails from Saltspring Island had her latest novel, Dear Evelyn, chosen as winner in 2018 for the Rogers Trust Fiction Prize. O’Neill has been short-listed for the Giller Prize twice, and has written four critically acclaimed novels, the most recent of which is The Lonely Hearts Hotel. Her prose evokes both the magical and seamy sides of the Montreal she knows and loves. Poetry/Spoken Word has always found a place at our festival, and this year we have Billeh Nickerson, from Vancouver, author of five books of poetry, the most recent of which is Artificial Cherry. 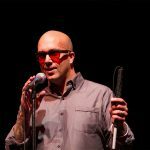 He teaches creative writing at Kwantlen Polytechnic University. 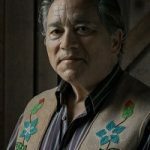 The non-fiction side of the line-up features Darrel McLeod, winner of the Governor General’s Award for non-fiction in 2018 for his powerful memoir Mamaskatch: A Cree Coming of Age which offers, as one reviewer notes, “a brutally honest view of the havoc that intergenerational trauma can wreak across multiple lives”; also a nature and environment observer, Paula Wild, from Courtenay whose book The Return of the Wolf: Conflict and Coexistence explores the fraught lives of wolves and their relationships to humans; The Tyee’s BC legislative bureau chief, Andrew MacLeod, whose latest book is All Together Healthy: A Canadian Wellness Revolution, which asks big questions about health care in Canada; Ryan Knighton, a celebrated Vancouver-based writer whose books Cockeyed and C’mon Papa have focused attention, in both a serious and humorous way, on the challenges faced by many visually impaired Canadians; and Lindsay Wong, whose book The Woo Woo: How I Survived Ice Hockey, Drug Raids, Demons and My Crazy Chinese Family about her life growing up in a dysfunctional Chinese Canadian family is now top of the best-seller lists and one of five books competing for the Canada Reads contest this year. In addition to our invited authors, there will be two sessions featuring the works of local Denman Island writers. This is a unique feature of our festival and shows off the talent of island writers, many of whom are regular attendees at a monthly session where they present their writing and receive feedback from others. This Denman Writers Group is facilitated by local writer Jo-Anne McLean, author of the six-book The Gift Legacy series of fantasy novels. As usual at the festival, Abraxas Books will be selling books by all the invited authors as well as Denman writers. Tasty meals will be provided in the Back Hall by Evan Penner and his crew. And Paige Turner will likely make a return appearance. There is also a rumour that the Opening on Friday morning, July 18, may be a surprising reminder of the power of language, courtesy of the prescient words of one George Orwell. See you at the Festival, 2019 version.